Do the words “local,” “fresh,” and “eccentric” resonate with you? Foodies will be inspired by the fresh and elaborate dishes invented by the creative culinary minds around Lexington. 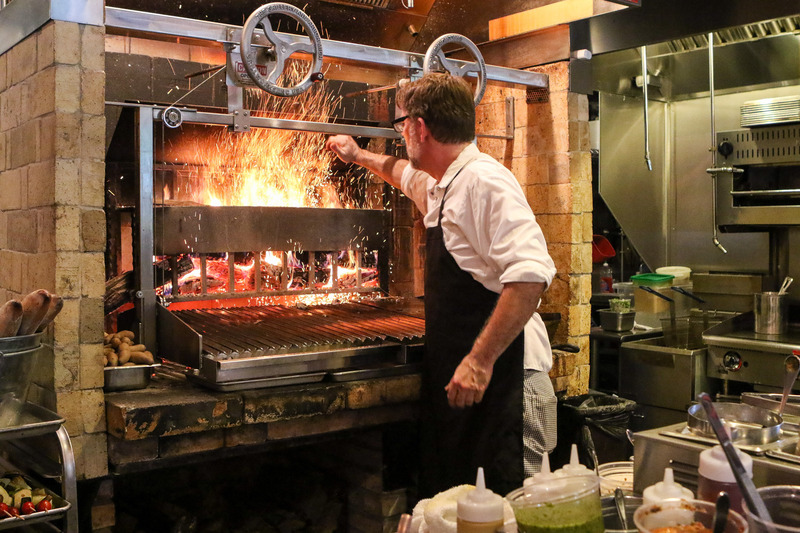 Collaborations between local farmers, chefs and restaurateurs have led to an influx of eateries featuring menu items that boast fresh-from-the-farm ingredients and are hand-prepared with mixes of classic and inventive methods. Wake up with an ice cold bourbon barrel-steeped Brewshine from A Cup of Common Wealth. This friendly neighborhood coffee shop has a motto of “Embrace Community. Serve Others. Create Culture,” a motto which is evident when you first step foot inside. Some of the friendliest faces in town are found behind the counter. Check out their “Pay it Forward” board and buy a cup of coffee for a member of the Lexington community! 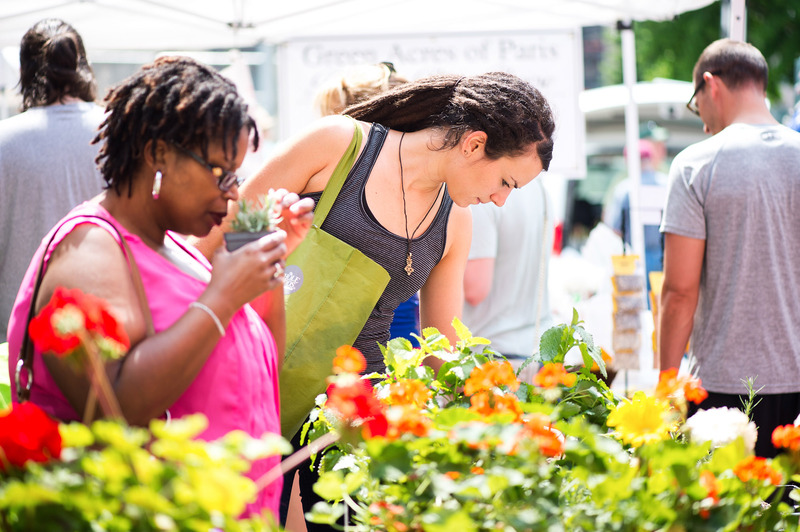 Sample the freshest local produce at the Lexington Farmers Market at the Fifth Third Pavilion on Saturdays. You can take home seasonal selections of farm-fresh eggs, herbs, vegetables, pastured meats, cheese, local honey and even homemade dog treats for your pooch. Taste the wackiest donut you can find at North Lime Coffee & Donuts – seriously, you can only win being adventurous here. 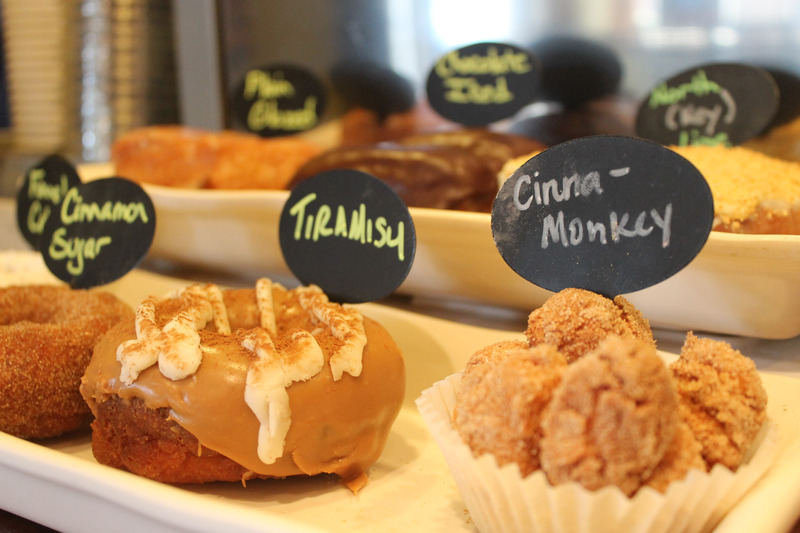 The guys at North Lime have a knack for combining off-the-wall flavors into delicious confectionary creations, which is why they are a must-stop on our Coffee & Donut Trail. Oh yeah, North Lime makes a mean cup of Joe, too. In the mood for an elegant picnic? This boutique wine store and gourmet cheese shop has everything you need if you want to feel like you’re spending an afternoon in France. From fresh artisan bread to a growing craft beer selection, fine cheeses and deli meats, there’s a lot to try. But if you try anything, make sure it’s the macaroons; they’re to die for. They also offer weekly wine tastings, monthly wine classes, a monthly wine club and, occasionally, bourbon and beer tastings. Check out their website for a full list of special events. Take a country drive and taste delicious local wine at Jean Farris Winery’s tasting bar. 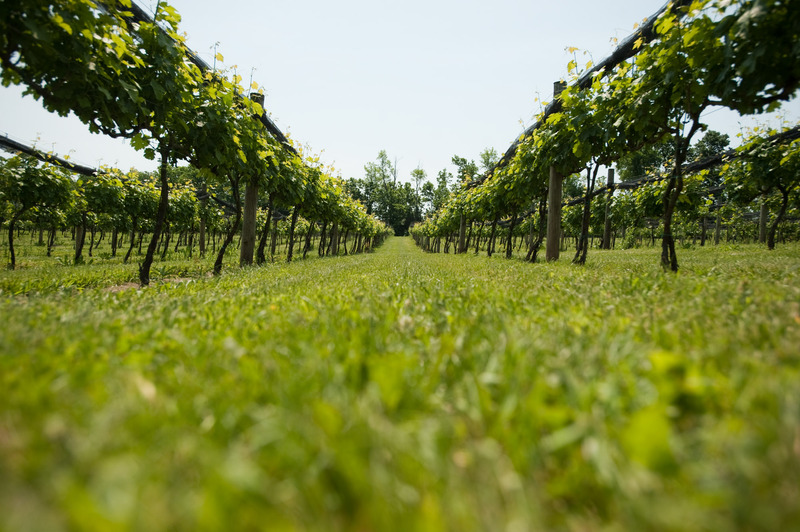 Winemaking is witnessing a strong revival in the Bluegrass, thanks in part to our climate, limestone water and fertile soil. 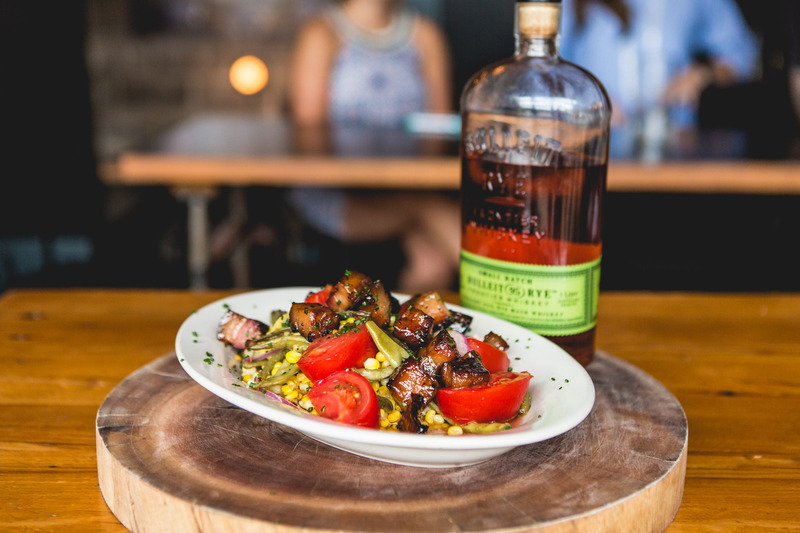 Dive into a heaping plate of smoked meats at County Club, or order whatever their delicious salad special is. You can also add meat to your special salad, if you want a little bit of both. You also can’t go wrong with their poutine, and if you stop by on a Sunday you can get a taste of whatever inventive breakfast sandwich is on the menu. Head over to West Sixth Brewery on Lexington’s hip Jefferson street and sip on local brews in their beer garden. Yogis can also take a yoga class in the beer garden on Wednesdays. Named one of Open Table’s ‘100 Hottest Restaurants for 2016,’ Middle Fork prepares their food simply and serves their dishes in family-style portions, so be sure to come hungry and order several dishes to get a true taste of all their offerings. You can expect unique farm-raised meats, local vegetables and a selection of creative cocktails. This place is popular, so call ahead for a reservation! 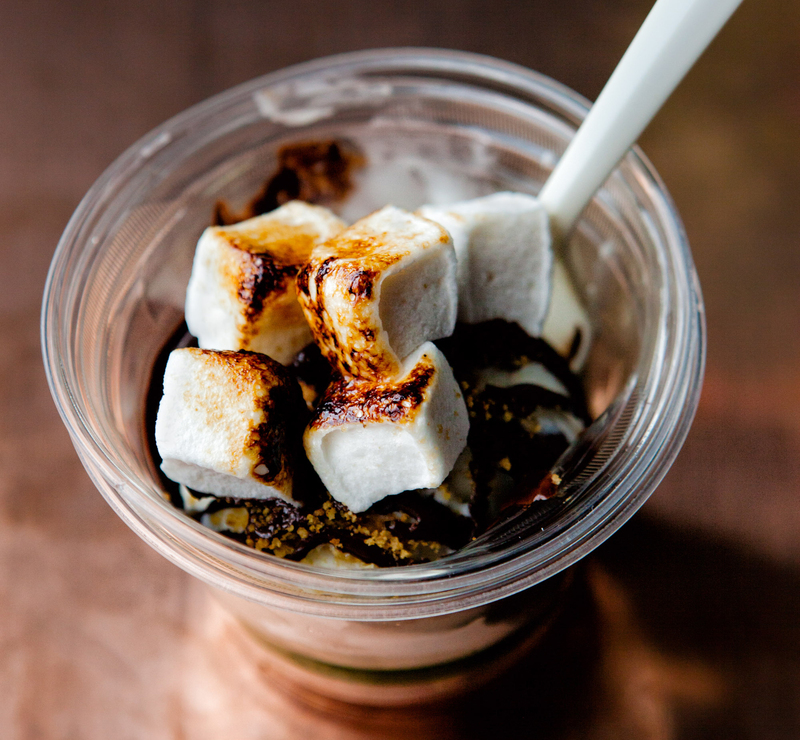 If you still have room after Middle Fork, head next door to Crank and Boom Ice Cream Lounge, a former food truck turned brick and mortar ice cream parlor in the heart of Lexington’s Distillery District that serves over 40 unique flavors of ice cream. The bourbon honey ice cream is top-notch, but if you’re feeling indecisive you can order a sampler flight and taste several flavors. They also offer a “Spiked Scoop” which involves ice cream with a shot of liquor, so you can have a nightcap with your dessert.